Saving for retirement can seem like a daunting, overwhelming task. However, if you have the right plan of action, it can feel much easier. Read on to learn five essential retirement saving tips. Did you know that most Americans approaching retirement have saved only 12% of what they need? Despite low unemployment rates and increasing wages, most Americans still aren’t saving enough–if anything. In fact, 20% of us don’t save any of our annual wages. No matter how old (or young) you are, it’s never too soon to start thinking about retirement. The best retirement plans are the ones that are implemented early. In this post, we’ll outline five expert tips to get your retirement saving plan underway. Read on to learn more. 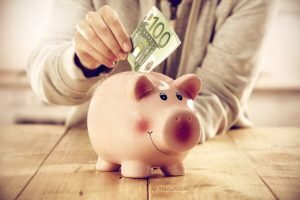 Whether you’re 4 years or 40 years away from retirement, it’s vital to get into the habit of saving money. The more you can save while you’re young, the better shape you’ll be in when you reach retirement age. If you haven’t already, open 401k or IRA accounts and contribute to them regularly. Better yet, arrange for part of your paycheck to automatically go to these savings accounts–before you’re tempted to spend it. Over time, the compound interest in these accounts will flourish. You should also focus on reducing or eliminating debt. Many people whose employers offer 401k programs don’t take advantage of it. Don’t make that mistake! If your employer offers to match your contributions, be diligent about contributing to your 401k. Otherwise, you’re essentially passing up free money. A traditional or Roth IRA is another option for saving money while compounding interest. Be sure to familiarize yourself with the Required Minimum Distribution (RMD) of any IRA account you’re considering. If you can’t save as much money as you’d like, you can at least reduce your bills after retirement. One of the easiest ways to do this is to make sure your mortgage is paid off in full before you retire. Avoid the urge to refinance or take on a huge renovation project. A fully-paid home is a valuable asset–you’ll be living rent-free! This might not be the most popular tip on this list, but it is highly practical. Did you know that delaying your retirement–even by a few years–can increase the amount of Social Security benefits you’ll earn? Let’s say you’re entitled to $18,000 a year if you retire at age 62. If you work until you’re 66, that benefit increases to $24,000 per year. And if you wait until you’re 70 to retire, you’re looking at $31,680 in Social Security benefits. Once you’ve calculated what you’ll need for retirement, it’s vital to stick to that plan. If you reach retirement with enough savings, congratulations! But here’s an important word of advice: Don’t blow it now. With all that money in the bank, you might be tempted to take expensive vacations or lavish your grandchildren with gifts. Of course, it’s okay to splurge every now and then. But you worked hard to build that nest egg for your retirement, so make sure you spend it wisely! Saving for your retirement may seem like a daunting task. But it doesn’t have to be. Even if you start small, the important thing is that you get started–the sooner, the better! It is also important not to worry too much about retirement. Be happy, enjoy life and start saving! For more helpful retirement saving tips, check out our latest articles.